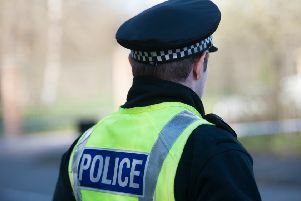 Police Scotland has named Forth Valley’s new most senior police officer. Chief Superintendent Stephen McAllister is the area’s new Divisional Commander, following the promotion of former Commander John Hawkins to Assistant Chief Constable. CS McAllister has been temporarily in charge of the Division since May, and has also been a member of the Forth Valley Division Senior Command Team as Superintendent since 2014. During his 28 years in the police service, he has worked in a variety of ranks and roles across local community policing and CID primarily within the West of Scotland. CS McAllister said: “It’s a real privilege to be given the opportunity to lead a team of committed officers and support staff in the delivery of a local policing service to the communities of Forth Valley.